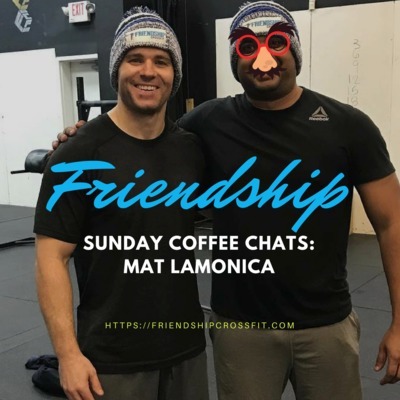 Welcome to the Friendship community. 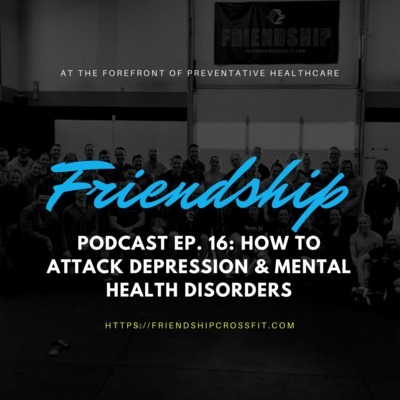 We build high performers through working on optimizing physical and mental health. This episode dives into not accepting "good enough" and not just passing by things that could be better. Having a passionate pursuit will help drive you to better things, but we cannot allow ourselves to build the habit of accepting mediocrity. 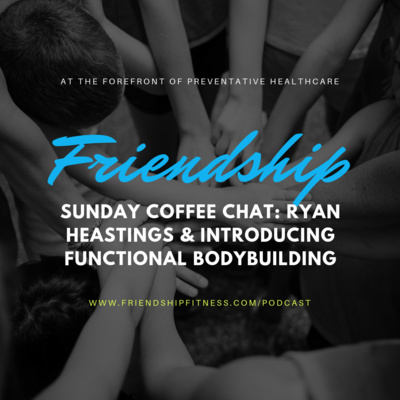 This episode dives into our new Build program, using Functional Bodybuilding methodology. 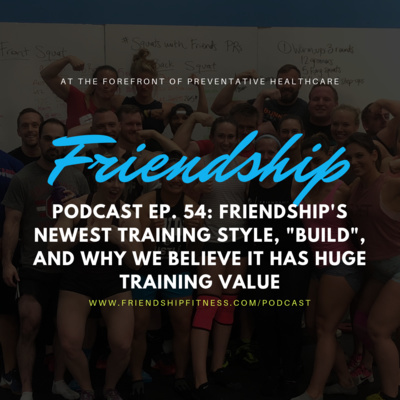 This program has been very popular, fun and exciting new offering for us and Ryan sits down with me to talk about why we think it also has great training value for all ability levels! 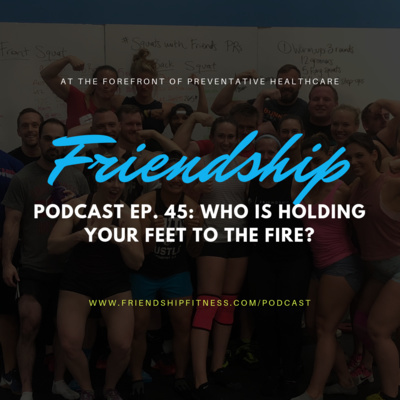 Episode 45: Who is Holding Your Feet to the Fire!? 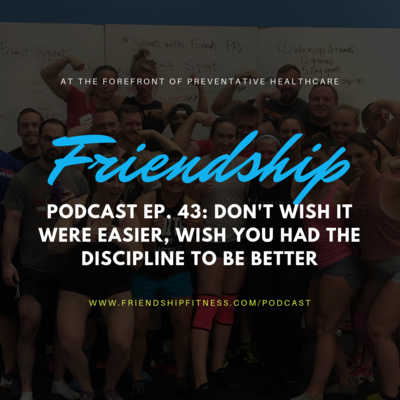 Episode 43: Don't wish it were easier, wish you had the discipline to be better! 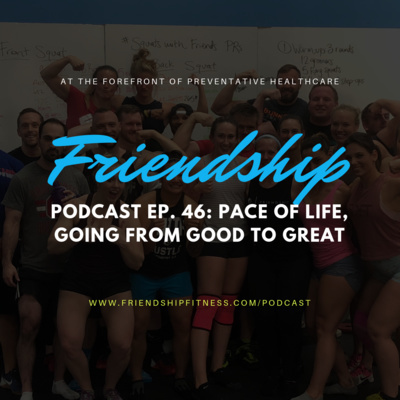 This episode goes into discipline being the shortcut to success. Where are you giving time and attention, and is that being wasted when you're desires are to be great at something else. 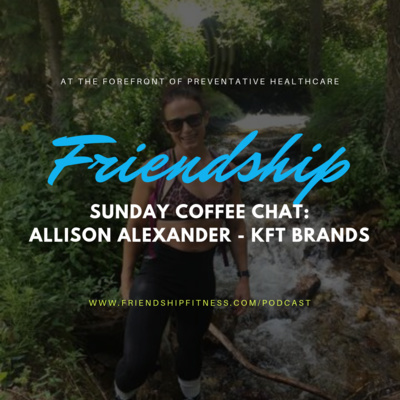 Allison from KFT Brands is a local entrepreneur, CrossFitter & Mom extraordinaire -- Listen to her story about how she got started, her passions and plans for the future! 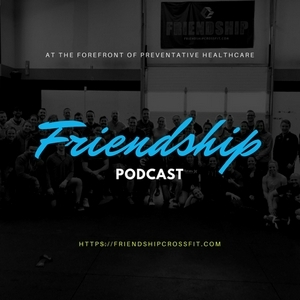 This podcast is for the clients of Friendship Fitness participating in CrossFit classes! 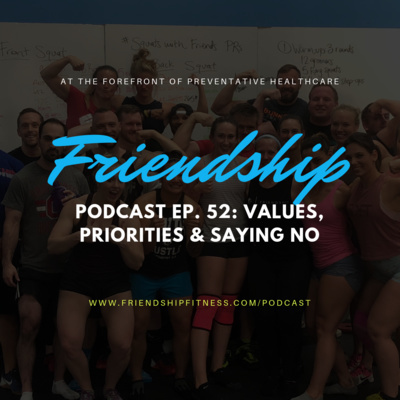 This episode goes into combating the mentality that is plaguing our society's views on relationships, financial stability, health, fitness and nutrition. 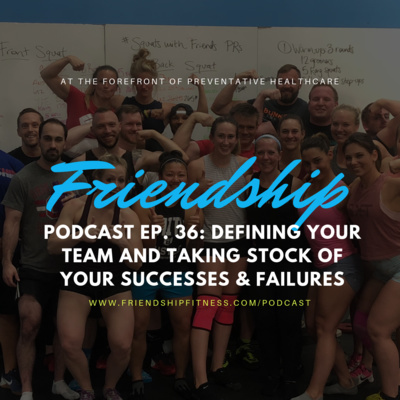 This episode goes into knowing who is on your team, who is a key player and how to take stock of that for when things go poorly, or how to make things start going better! 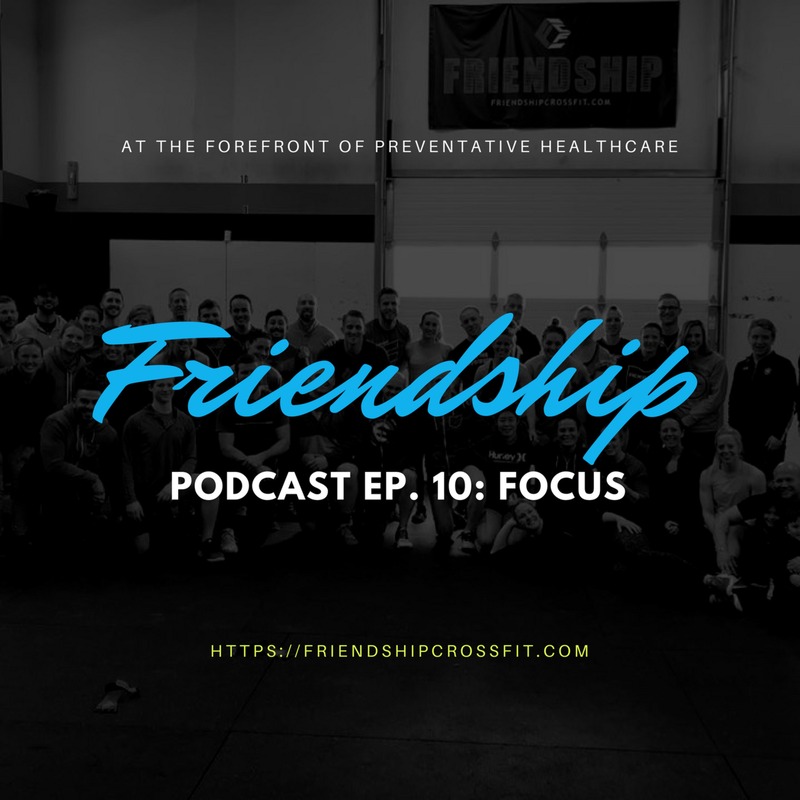 It occurred to me recently than many of our podcast listeners and newer faces around the Friendship community don't know the back story of Friendship. 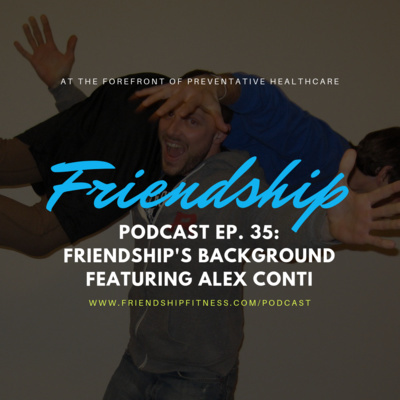 Alex wanted to shed some light on that, so here he interviews me about my life leading up to Friendship and the culture we've created! 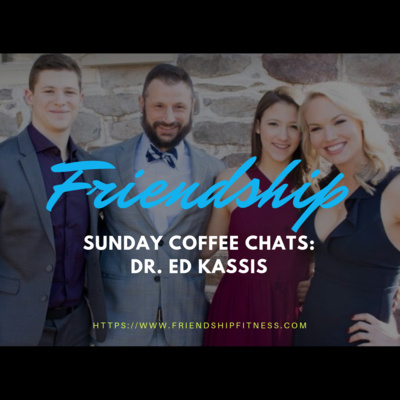 This episode of the Sunday Coffee Chat is with Dr. Ed Kassis. We discuss some of the Doctor/Industry facing issues inside of medicine, and some personal experiences Ed has had as both a patient and a surgeon! 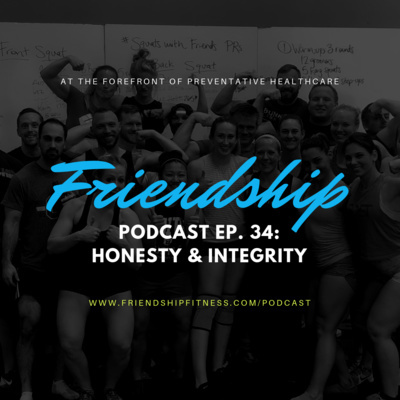 This episode dives into these two thoughts: Failure + Reflection = Success Reflection requires Honesty, Integrity & Awareness. Therefore you have to fail, and you have to be self-aware...but maybe equally important, you have to be surrounded by people who care enough about you to be honest with you and then be open to that feedback. 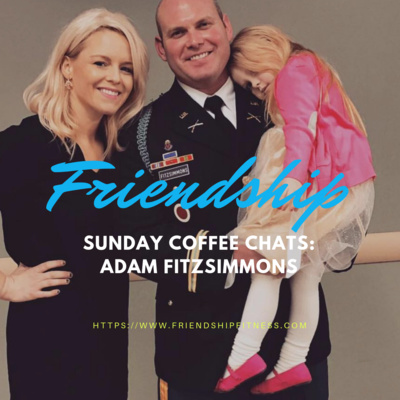 This episode of the Sunday Chat series dives into life as a soldier, the changing landscape of fitness in the military and leadership! 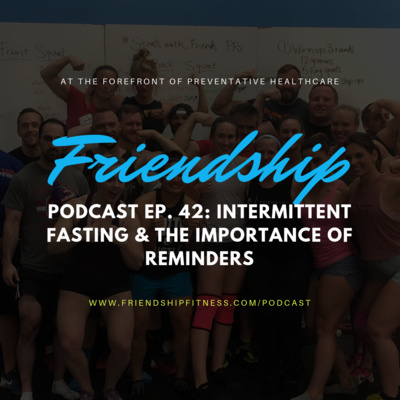 This episode goes into training your will power and how to conserve your energy and attention for where you need it most! - Key Points - - What life is like at 8-months pregnant, fitness & health wise, family wise and mentally. 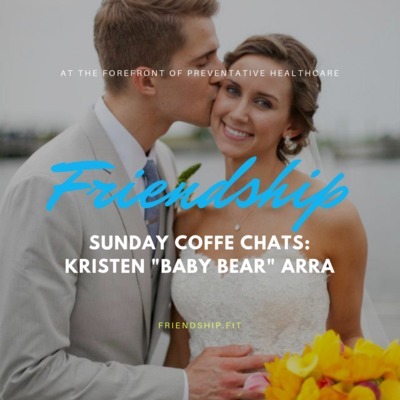 - Life with a Dietitian, and how the Arra's became badasses - Whole Life Challenge successes - How the internet scarred both of us - As a self-proclaimed "environment snob" she gives you her favorite restaurant environments in Columbus! 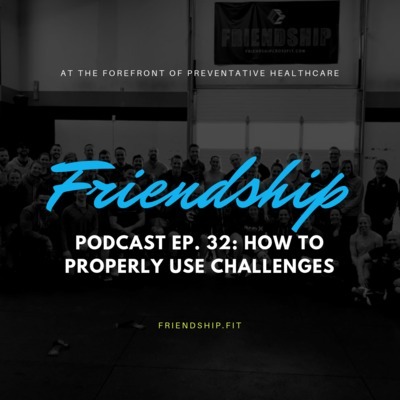 This episode goes into how to challenge yourself and what we can use challenges for, without falling into common traps. This episode goes into how we need to avoid "ECC" and then how we communicate our successes and what we've accomplished outwardly to society. 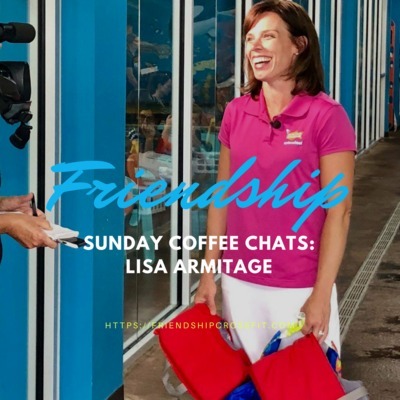 This episode goes into some of my future excitement and how I see myself and Friendship impacting our community! 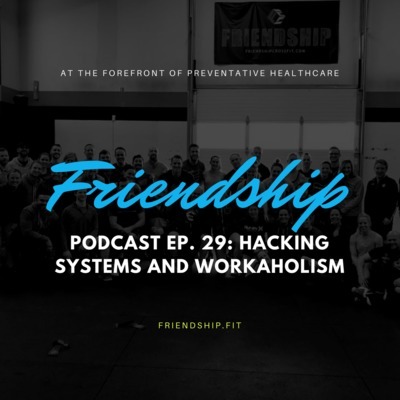 This episode goes into how human nature mixed with today's culture leads us down a dangerous path of thinking we can hack systems, habit change and patience. 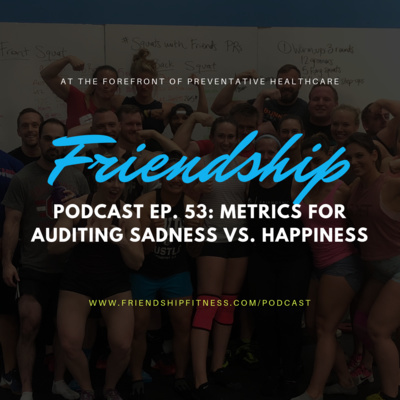 I discuss how we see that pitfall taking people over, and how we can begin to think more simply about how to attack big goals. This episode goes into how to invite chaos into your life and why we need to be very aware of how our comfort with "order" leads to default decisions and processes. 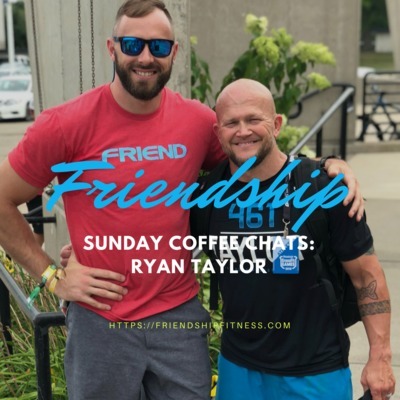 This episode is a Sunday sitdown with 5-time Games Athlete Ryan Taylor! 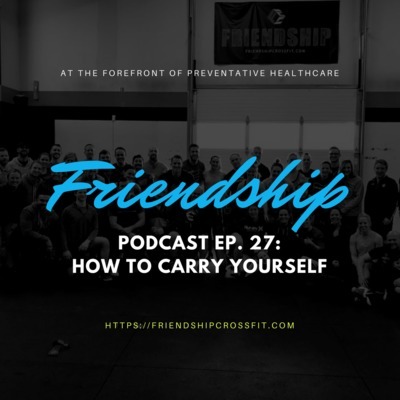 This episode goes into how to carry yourself to better control how you think about yourself, and how others think about you! This episode goes into what this core value of Friendship means. Whenever we start our upward trend, we will upset those around us fear or hate change. They might not be ready to say "How can I be better?" and start to have higher expectations for themselves yet, and they're going to take it out on you. 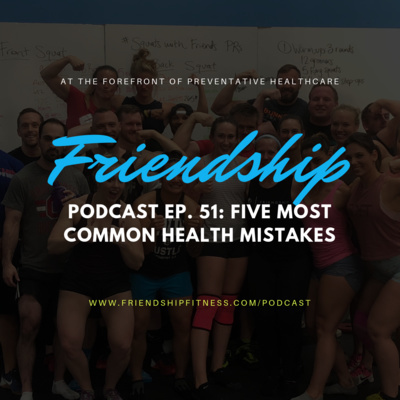 This episode goes into how even the smallest of decisions can lead us down a bad path and into a rut or slump. 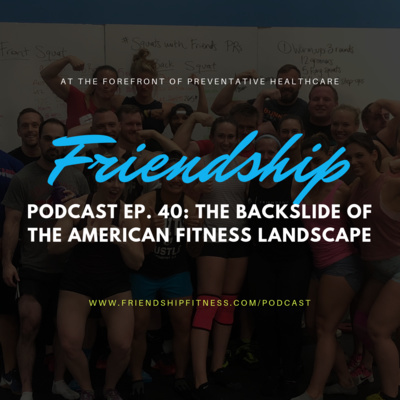 We talk about BCD and some of the tell-tale signs of being in a slump and how you communicate with others, as well as how to fix those trends. I hold myself to 3 goals that I will be better at this next year. 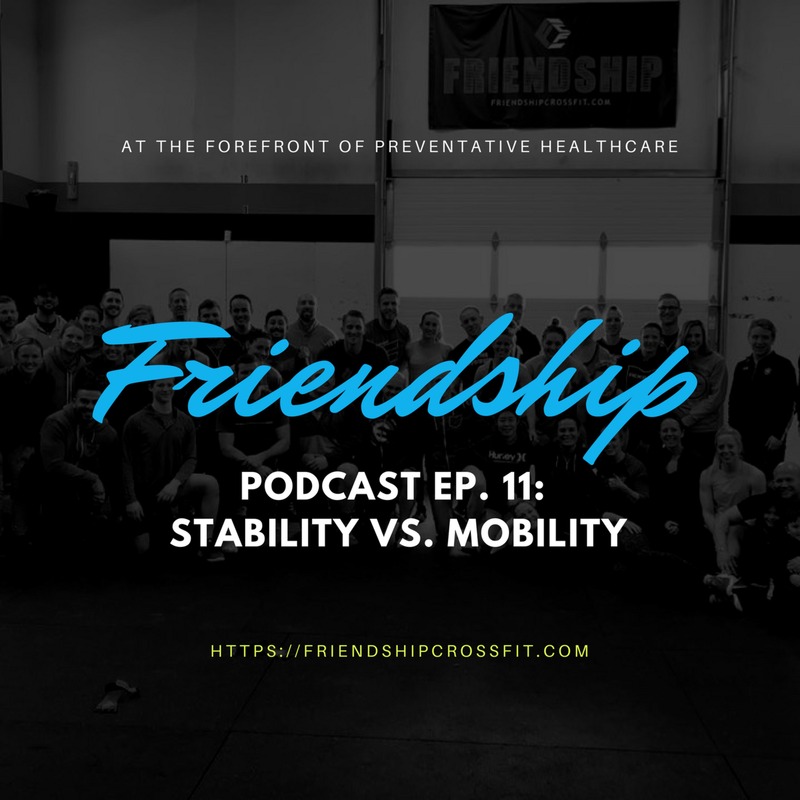 This episode dives into how Matty has handled having two smart phones on him at the same time, how he has maximized recovery as he gets older, his family starting CrossFit and Cleveland sports talk! 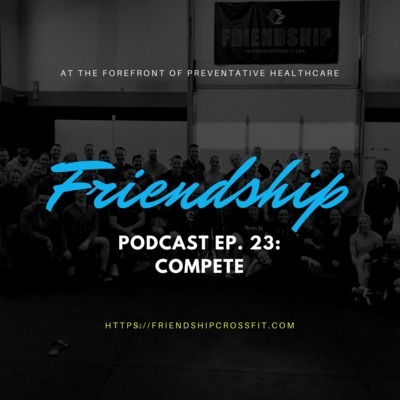 This episode goes into learning how to healthfully compete in every aspect of life. We need to learn how to lose, and be losing, but still be in the competition and giving our best effort. Life will be full of transition points and losses, we have to learn how to take on those with a healthy mindset. 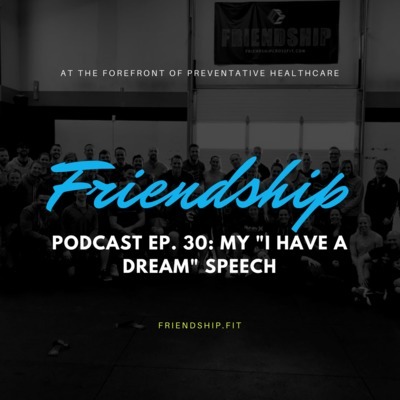 This episode dives into entrepreneurship, taking chances, betting on yourself and getting past that BS story you keep telling yourself about why you can't start! Lisa puts most of the excuses we hear everyday out the window and overcomes them with a positive attitude and hard work. 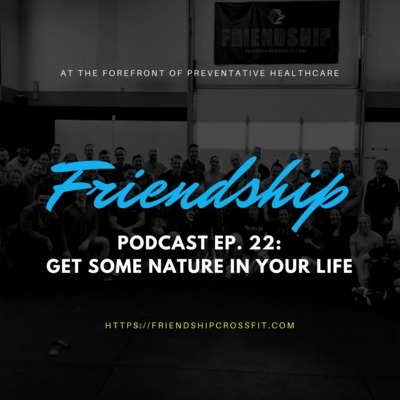 Episode 22: Get some Nature in your life! 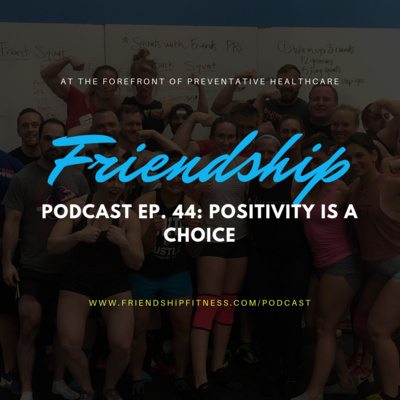 This episode goes into how being out in nature and building some intention around sunlight, being outdoors and being around friends/family can be a great way to get yourself into a positive place! In this episode we go into why building momentum in life is so huge, and ways in which we can begin to build that momentum to achieve success in our major four areas of focus: Family/Relationship, Fitness, Nutrition & Career. 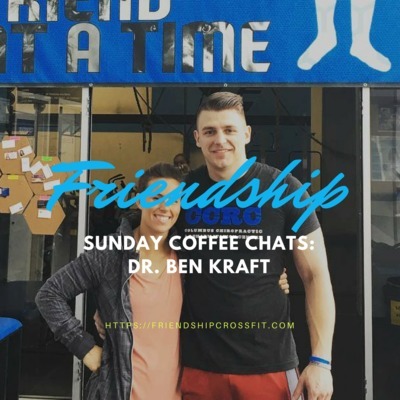 In this installation of Sunday Coffee Chats we discuss the world of Chiropractic medicine, continuing education for our athletes and coaches in CrossFit and how fitness and nutrition can help with mental health! 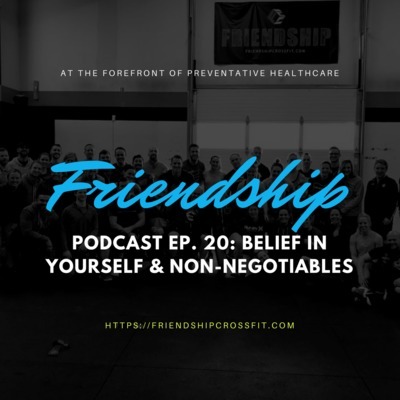 This episode dives into how a firm belief in yourself and your capabilities will allow you to set non-negotiables and act on getting your life centered around those. This is a key point in health and happiness, understand WHAT and HOW you need to prioritize! 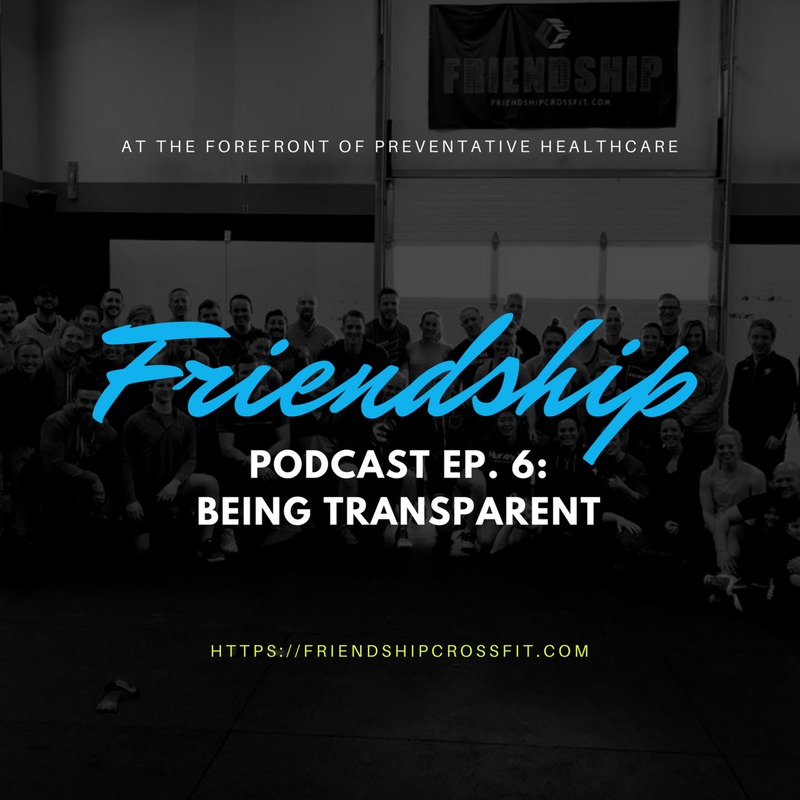 This episode is a great sit down chat with the only guy I know who switched from a smartphone to a flip phone to hold himself accountable! 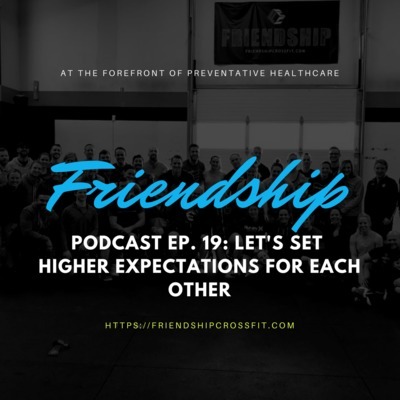 This episode goes into why our community is successful, and why setting higher expectations for each other will breed higher performance. Too often people are paralyzed by a fear of failure, and being surrounded by people who won't actually hold them accountable. This low-expectation lifestyle leads to unhappiness and disappointment. 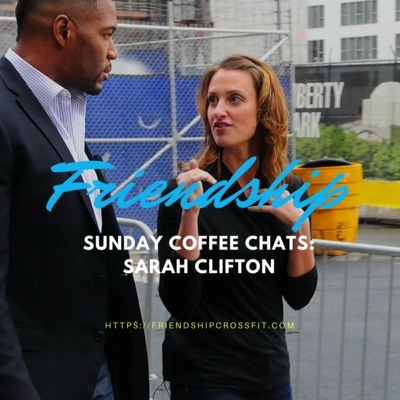 This episode of Sunday Coffee Chats is from hero mom, superstar wife, dog rescue trend setter and overall amazing part of the Friendship community: Sarah Clifton. 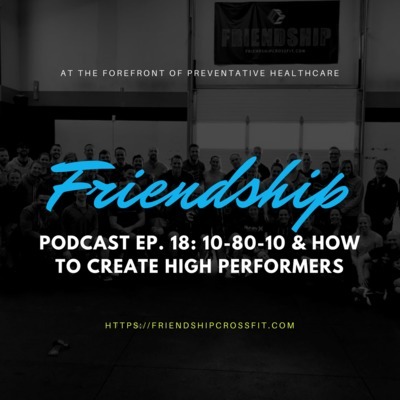 This episode goes into how we can ascend ourselves to becoming a high performer. 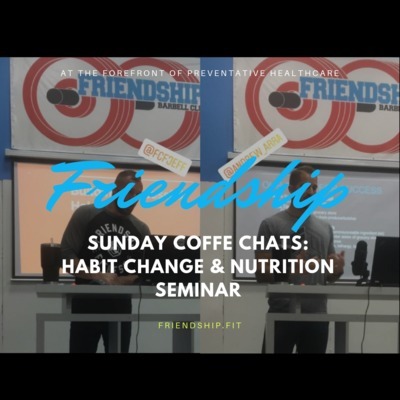 Once we have established the habits of a high performer how then we can contribute to others in our community to help mentor them to adopt those habits. This episode goes into how to find mentors, goal set & create a vision of your future self that is measurable and attainable. This episode dives into why the way we live in America and the things we covet have led us down a dangerous path for our mental and physical well-being. 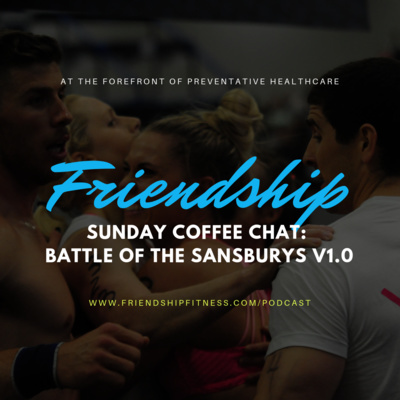 Discussing a passage from the book "Tribe" by Sebastian Junger, we look into ways we can break this trend and how community, fitness, nutrition & contribution are at the heart of this. 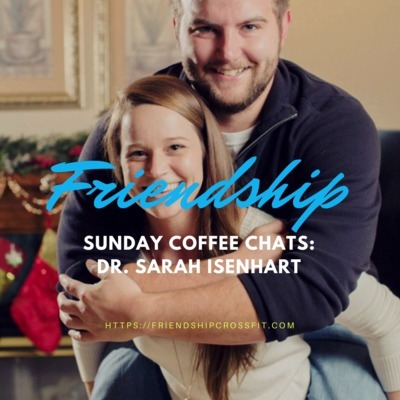 This episode features Dr. Sarah Isenhart (aka "$i$), a founding member of the Friendship community! 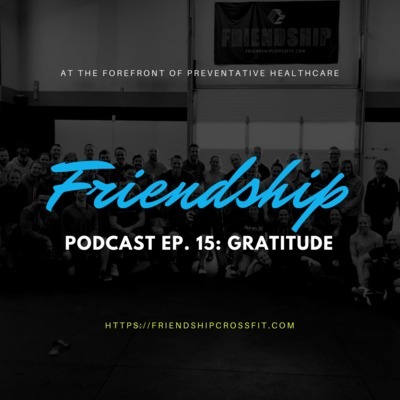 This episode goes into why being grateful is important to our health and happiness. It also goes into ways we can be practice gratitude in our every day lives. 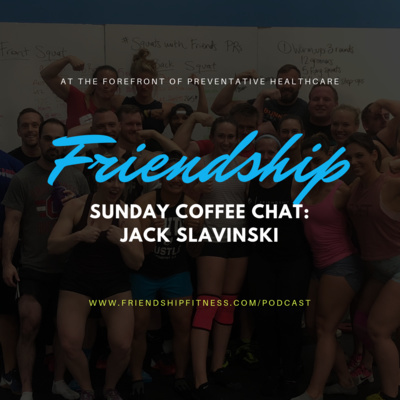 This episode is a break from our normal Podcasts to sit and have a discussion with an amazing member of our community. 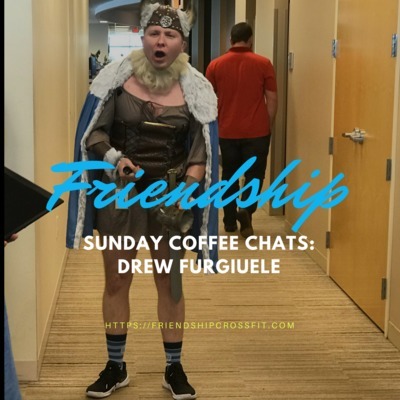 Drew joined Friendship almost 5 years ago and has since lost 30lbs, gained mobility and strength, been an integral part of Gymnastics Club and our Charitable work and is constantly helping us grow and develop the gym. 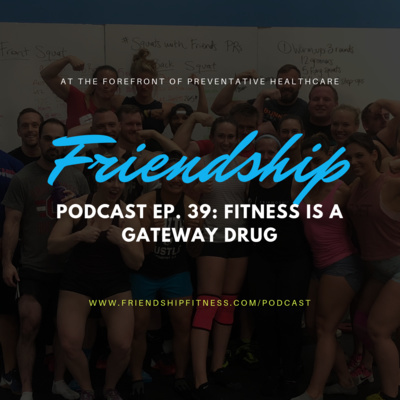 This is a free run long-form interview style podcast. 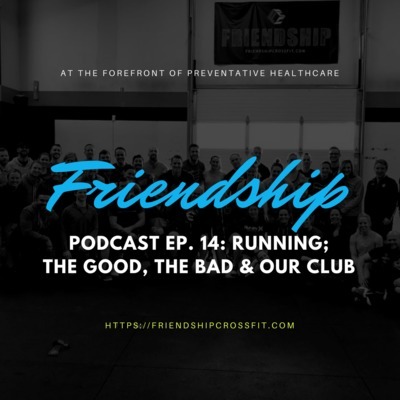 This episode goes into some of the issues surrounding the running world, as well as every day gym goers and how they approach it. 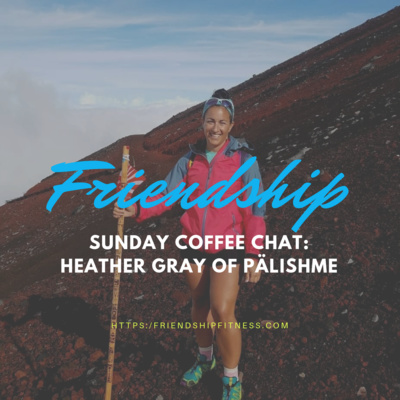 I aim to shed light on how people can fix their mindset towards running, as well as our next Friendship Club for the Summer of 2018. 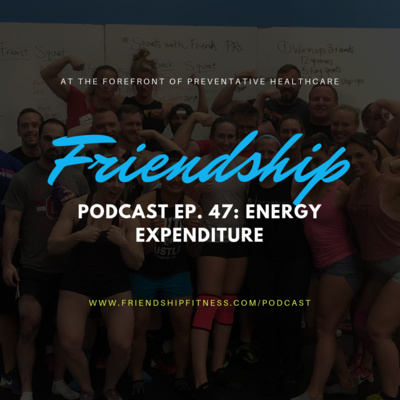 This episode goes into how our life of abundance and convenience forces us into being weaker mentally and physically. 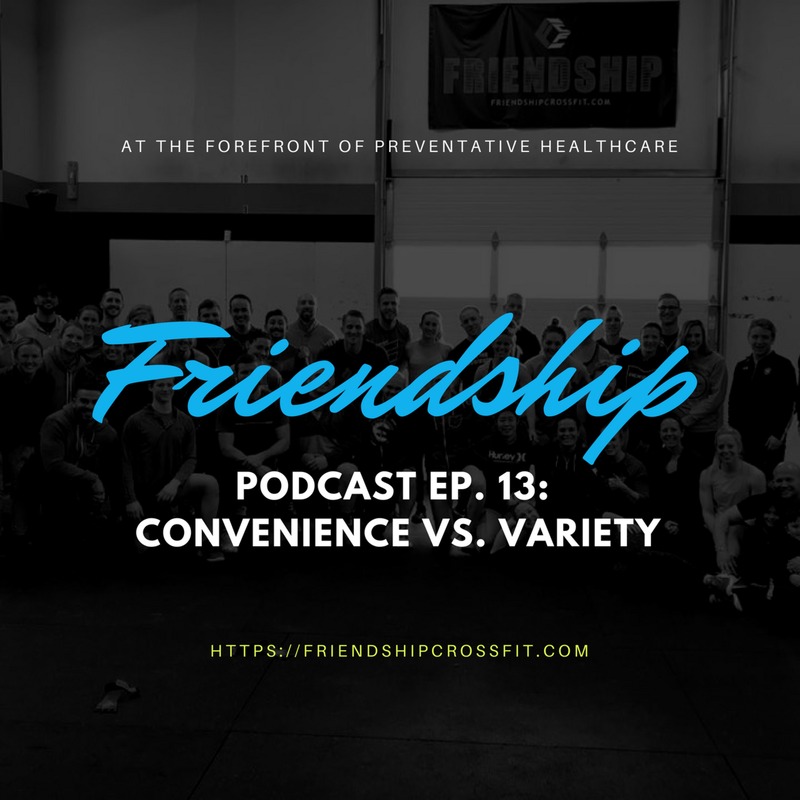 It recommends adding variety to your life in a few different ways, but the goal is to open up the mind to being able to see where you have accepted convenience too much, then take steps to add some variance in those areas. 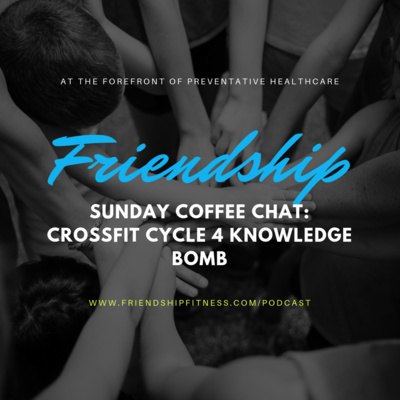 This episode reviews "Unconventional Medicine" by Chris Kresser, and Greg Glassman's podcasts on the CrossFit HQ Podcast. 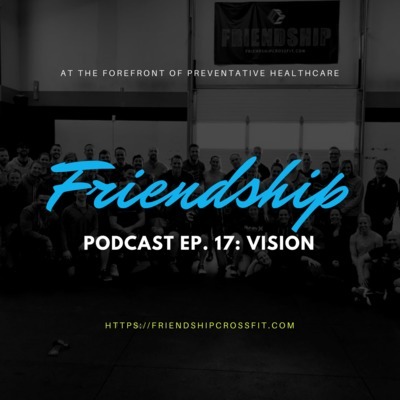 Jeff also goes over Friendship's vision and how he sees people taking on a more localized approach to the healthcare fix. 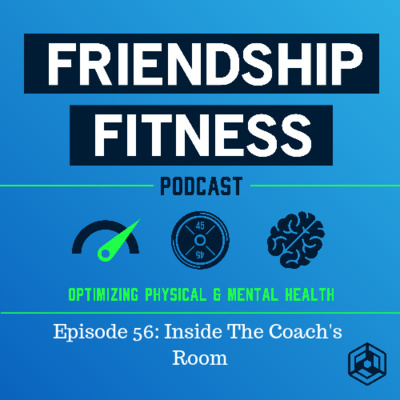 This episode dives into how we can better understand what each athlete needs to develop to get into, and live in better positions. Better positions mean more power, higher performance, less stress on the system and faster recovery. This episode goes into the things in our control and the things out of our control, and how understanding and recognizing the difference can make a massive impact in our decision making process. This episode is a guest interview with Dr. Jenny Borda, multiple time regional competitor and coach, founder of Gymnastics Club at Friendship and former competitive gymnastics coach. 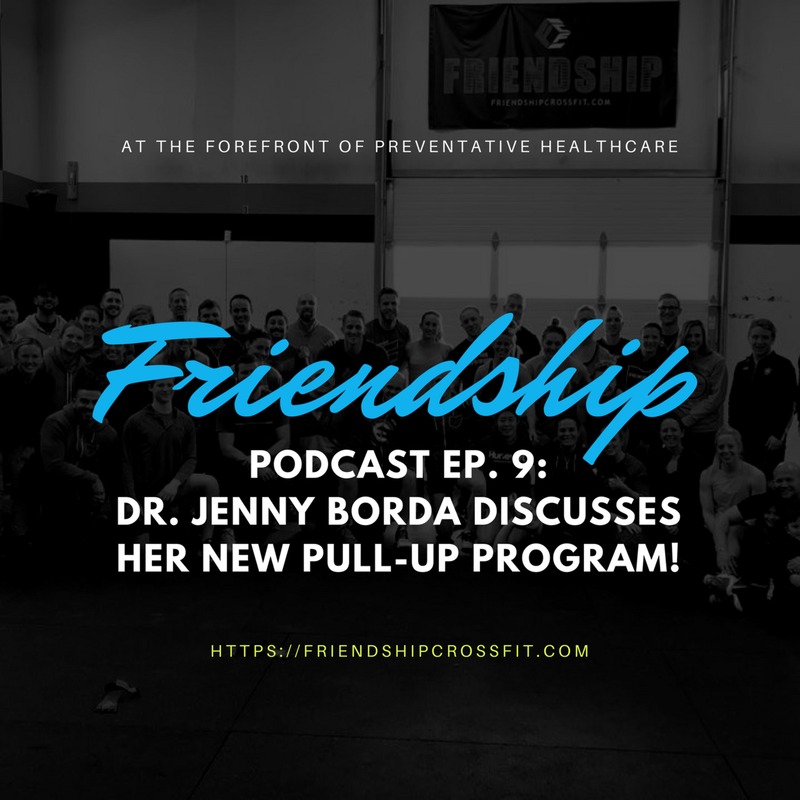 She goes over a pull-up program she has been designing! Episode 8: How Good Is Your Foundation? 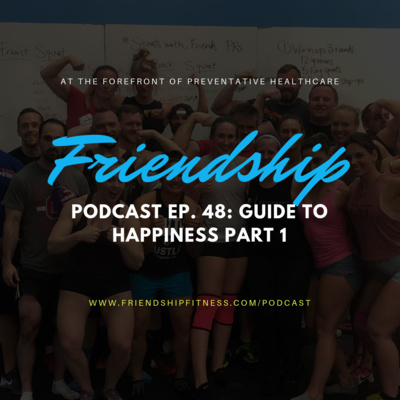 This episode goes over the Friendship Pyramid and what the true foundations of making life-change are all about. 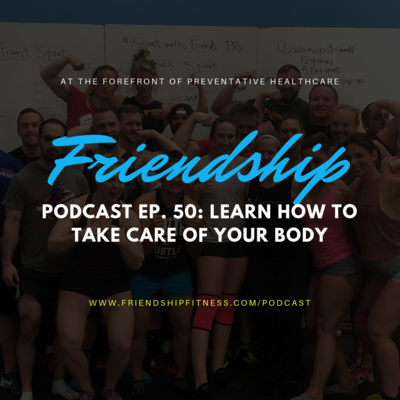 This episode goes into the power of having open, honest communication with those around you, and understanding that your powerful voice is important for others to hear. This episode goes into injury prevention, why we have tweaks, nags and injuries as well as how to structure active recovery days and listen to your body. This episode goes into the concepts of Discipline = Freedom, GOOD, and seeking adversity for self-improvement. 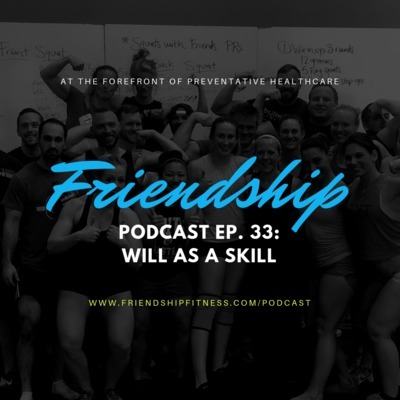 This episode goes into General Physical Preparedness and why it is the best way to train, as well as some core tenets of CrossFit! This episode goes over the way that I like to look at personal development, and some strategies to begin working on yourself, your marriage, your business, your fitness and your life. 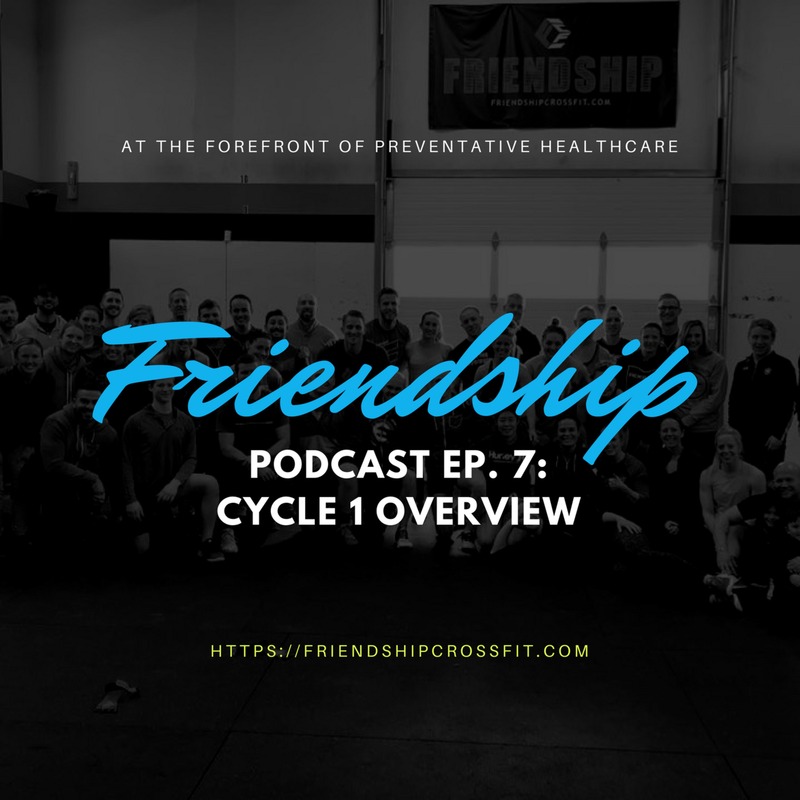 Episode 1: Why Squat Cycles? 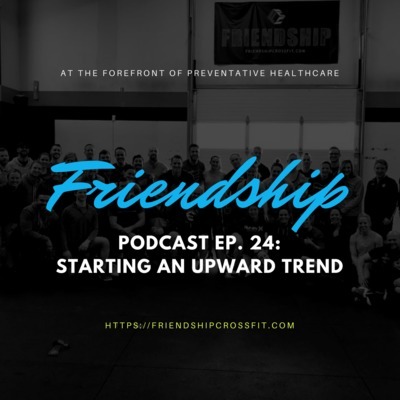 In this episode we go into why Squat Cycles are an important part of changing up your training!